The one thing that will never change about content marketing is the fact that it will always be changing. Now that 2016 is here, it’s time to take a look at what many experts believe will be the biggest trends in content marketing over the next 12 months. Mobile first. While there has been an ongoing shift toward mobile marketing, if you are in the marketing game, there is no longer any way to avoid going mobile. Touchscreen technology will be of particular importance. From making purchases to posting reviews, if people are doing it, chances are they are doing it on their mobile device. Marketers need to focus on SEO and social media. Consumers are looking to social media when performing searches. They like the visual nature of social content, as well as the reviews and comments. So if you can’t be found on social media, you will be missing out on a large market segment. Facebook isn’t going anywhere but new sites are cropping up everywhere. Facebook continues to add functionality and tighten security and anyone who says it is becoming less relevant is mistaken. However, marketers would be wrong to not pay attention to other sites like Snapchat and Instagram when it comes to getting noticed and obtaining sales leads. While these newer sites have a younger demographic and were originally used only for personal communication that is changing—quickly. Options for publishing online content will increase. In 2015, Facebook launched Instant Articles. This new technology allows publishers to stream content directly to Facebook. When it launched, only nine major publishers could use Instant Articles, but it appears it will soon be more accessible. Other social media platforms trying to keep up with Facebook are likely to begin offering this type of service, as well, and this will benefit smaller businesses. An increase in demand for quality content. The savviest content creators will take note of user preferences for video and images. They also will steer clear of blatant sales content. By year’s end there may be other content marketing trends that no one saw coming. But one thing is for sure, to remain competitive in the world of content marketing, you must always stay on top of the latest trends—whether expected or not! Ask Yourself: What Has Social Media Done for You Lately? If you are a business owner, you know you need to be on social media. In fact, you are probably spending a good deal of your marketing budget making sure you are on Facebook, Twitter and LinkedIn. And with so many other high-profile social media sites cropping up, that is unlikely to change. In your rush to get on social media and continue to remain active there, however, you may have forgotten why you are there in the first place. Is social media really that important? How is it helping your business? The New Year is always a good time to step back and reflect on why you made particular business decisions. So why not spend a little time reflecting on your decision to get active on social media. In other words, ask yourself, what has social media done for you lately? It has improved your search engine optimization. Every tweet, post, and update leads to more traffic to you website. Many of those visitors are prospects that are interested in your product or service (aka sales leads)! It has established you as an expert in your field. Through a blend of content and engagement, people can tell that you know what you are talking about – and they look to you for the answers. And when it comes time to make a buying decision, they will look to you, as well! It has improved your customer service. Comment or question? Problem or complaint? No matter what your customers need, you can get it for them. Equally important, when you solve a customer’s dilemma quickly and completely, the whole world can witness it! It has built your brand. Your brand is your most important asset. 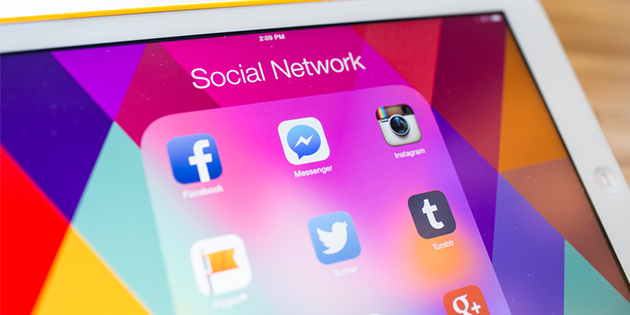 No matter what message you want your brand to convey, social media lets you do it. It also lets you tweak your message along the way if you feel that is necessary. https://blog.goleads.com/wp-content/uploads/2016/01/What-has-Social-Media-done-for-you.png 315 630 GoLeads https://blog.goleads.com/wp-content/uploads/2018/04/logoinner-1-1-300x73.png GoLeads2016-01-29 14:29:562016-01-29 14:29:56Ask Yourself: What Has Social Media Done for You Lately? Updates in Google’s algorithm means much more interest is being paid to where people are hanging out online. 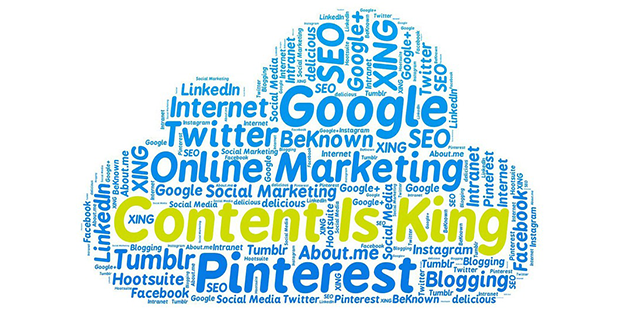 Google and other search engines also are looking for quality, engaging content that is shared and commented on. And where is this type of content most likely to be found? Social media sites. Social media is fast becoming the website of the 90s. This is true for several reasons in addition to SEO. If you have a customer or prospect who wants to learn more about your company, in many cases they are no longer going to look at your website only. They are going to check you out on Facebook, Twitter, etc. Social media is actually moving in the same direction as websites did in the beginning. First, it was important to just have a website. Then you had to make sure that you kept that website updated. The same is now true of social media. Many business owners once felt that if they had a basic Facebook or Twitter account set up they were good to go. That is no longer the case. Social media sites need to have fresh, new content posted on a regular basis. Think of your own life when you research a company. You land on a site, and then click on their Facebook, Twitter and/or Blog icons, only to see a blank page, or maybe worse, the last post being in 2014. What did you think? How did that make you feel about that company? Even if it were just for a split second, you may have perceived the company in a negative light. Most businesses can’t afford that. We can’t afford spending money to bring visitors to our site, only to have our website and our social media sites work against us. Fresh, new content is so important to your online presence and visibility. 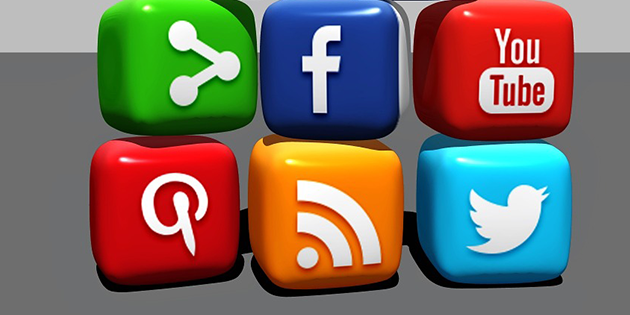 Social media is a great way to engage and strengthen our relationship with our prospects and clients. Many business owners understandably are concerned it is difficult to measure social media’s ROI. And truth be told, for most businesses it’s probably not a primary medium when it comes to a purchase. But I also don’t think it’s a stretch to think that social media plays a huge role when it comes to influencing someone’s decision to purchase. We all know the slightest negative vibe can ruin a deal. It’s always worse when it’s something we could have controlled. One more side note on the value of social media. It can help you attract prospective employees. When considering job offers, potential employees say that they will peruse a company’s social media sites to get a feel for the organization. And there’s the value. Social media may not be a direct conduit to the client, but it sure plays a huge part when it comes finalize a purchase. Social media can do so many great things for a company. What’s best, it doesn’t take a huge investment to stand out among the competition. What it does take is some time and effort. Many companies will choose to outsource their social media management if they feel they don’t have the time or expertise to do it themselves. If this is something you would be interested in, GoLeads can help. We think you will be surprised at how affordable it can be to keep your social media sites fresh, engaged and garnering the attention they deserve. Finally, if you are taking a wait-and-see approach to social media, keep in mind that your competition is not. And every day you are not engaging with your customers and prospects on social media, someone else is. 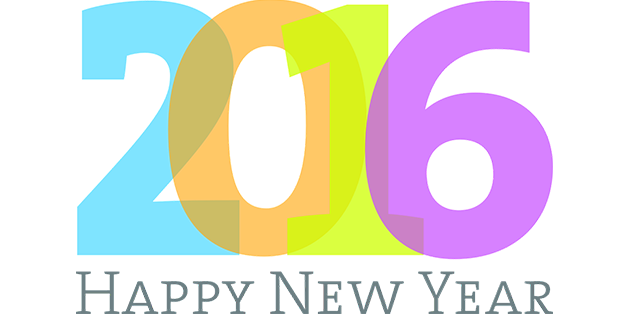 If you are like most people, you probably will make a few New Year’s resolutions to get healthier or happier in 2016. But what about making a few resolutions for your business? Lisa Stevens believes that the New Year is the ideal time for a small business to review its goals and create new ones. In her article, 4 New Year’s Resolutions for Small Business Owners, Stevens encourages small business owners to choose resolutions that will help their businesses thrive in the New Year. We all know that the first step toward realizing our goals is to set them, the New Year offers the perfect opportunity to review your organization’s goals and create new ones. Of course, not all business owners will have the same resolutions. Every business will have a unique set of improvements it needs to look at in the coming months. Whether it’s to decrease costs, grow market share, improve cash flow or get more organized, a new year provides the opportunity to begin with a clean slate. If you are a small business that is using Twitter to market your product, service or brand, congratulations! 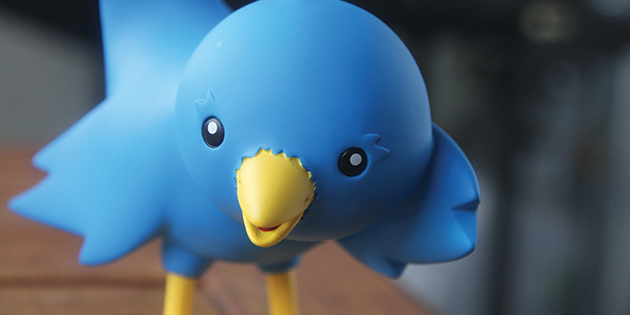 Twitter is an outstanding way to increase brand awareness and generate sales leads. Be careful how many links you put in your tweets. If you have an important link to share, do so – but for the most part keep in mind that tweets without links get more engagement. Hashtags give your tweets context but don’t overdo it. Want to find out how relevant your hashtags are? Rite Tag is one of the many tools available today to help you do just that. Images improve engagement. Further, images set you apart from the competition, especially when the competition doesn’t take the time to use them on a consistent basis. Want to quote someone? Try quoting yourself. This gives you credibility and establishes you as a thought leader. Send out tweets on a regular basis. It is important to reach the happy medium between tweeting too much and not tweeting enough. Once or twice a day is probably the right amount unless something really important is happening in your industry. Track mentions and keywords so that you know what is being said about you on Twitter. It also is important to respond quickly to any praise, comments or complaints. While you probably retweet on a regular basis, favoriting tweets can get you even more attention. Special discounts or deals offered to your Twitter followers are a great way to engage followers. Make sure that Twitter is just one part of your overall marketing effort. For example, if you are running a Twitter promotion, send the link out to your email subscribers, as well. Don’t underestimate the power of a mention. Include @username in your message to thank someone, ask a person a question or give someone a shout out. This is an outstanding way to build relationships. Twitter is one of the most important and effective ways to market your business. Make sure you are taking full advantage of it by keeping up on all of the latest trends!